Proteins play a very important role in all organisms. In fact, most of the work that happens inside every cell happens because a specific protein is employed for a specific task. 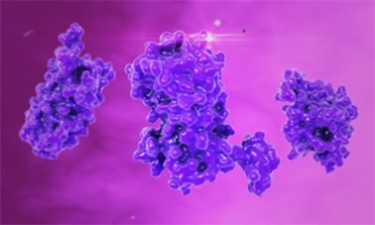 Often the three-dimensional shape of a protein plays a major role in its function. As such, it is important to know the structure of all proteins to have an idea of what function they perform. One of the jobs of a bioinformatician is to predict the three-dimensional structure of a protein using only the DNA sequence that encodes it as well as determining the effects of any mutations in the DNA on the three-dimensional structure/function. In this course, part of the Bioinformatics MicroMasters program, you will learn about protein structure and its impact on function, practice aligning protein sequences to discover differences, and generate model structures of proteins using web and software-based approaches. I think it's super interesting, an area of vital importance in science, how difficult it is to understand the basics, so I'm interested in the course, I hope to get the most out of it. Thank you very much and greetings.